More and more people are turning to the world of business management and starting up their own companies as a means of escaping the standard nine to five. People have been trading goods for centuries now. Nowadays, increasing numbers of potential business owners-to-be are looking into setting up Ecommerce sites dealing in fifty items or less. They sell their wares or branded products online to a targeted audience. Sure, this may be cost-effective and pose little risk. Online stores are simple to set up, require little commitment as you don’t have to sign contracts for commercial properties, and you don’t have as many overheads or initial payouts. But if you’re considering starting a business of your own, how about taking a few steps back and going for a more traditional route of commerce: wholesale trading. Wholesale trading involves a company buying goods in large quantities and selling them on to resellers, professional users, or groups to then be sold on to final consumers. There’s a whole host of benefits that come hand in hand with being a wholesale trader. Here are a few to consider and some basic tips and tricks to get you started in the right direction. First things first, you need to choose a product to sell in wholesale volumes. Sure, you may be tempted to deal with various things. But this can become overwhelming, even if they lie within the same category of goods. Instead, try to opt for just one specific item. This helps you to focus and specialise. It’s much easier and more profitable to establish yourself as the leading wholesale retailer of a specific good than to offer a mish-mash selection of items. Take a look at http://globalfoods.uk.com/. This wholesale trader specialises in dates. 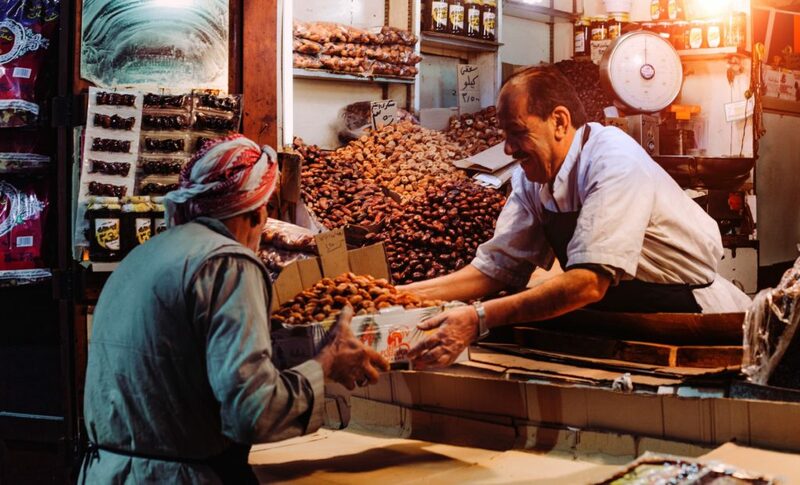 They have branded themselves as a specialist date supplier and make it clear that they work exclusively with a BRC accredited processor in Tunisia to bring exceptionally high-quality Deglet Nour dates and date paste to the UK. Many people starting out may try to focus on dried fruits in general, but this becomes complex. By focusing on dates, Global Foods UK has managed to garner a trusting, and loyal consumer base through their reliable service focused on providing one specific good. Once you’ve decided what you want to deal in, you’re going to have to find out where to source the raw products. This will vary dramatically depending on what it is you’re selling. So let’s stick with our previous example. If you’re dealing with a food product such as dates, you’re going to have to know what you’re talking about. Do your research. Learn more about dates in general. What are their uses? Where are they grown? What effects do different climates have on their final taste, texture, and size? This will all help you to find the best distributor where you can purchase the goods en mass. Once you’ve decided what to sell and where to source it, you’re pretty much ready and set to go! Previous Article Is Property Development Right For You?